You’re not going to find a lot of people that argue against Garrett. Their assortment of products is the best in the business and the definition of quality. Plenty of great things can be said about the company, although their true strength is variety. They service every level of customer in the industry whether it is a single consumer or large business. The high price of the Ace 250 won’t scare away potential customers since it has the features they want the most. It has a Graphic Target ID curser that isn’t too fancy but still shows you the target clearly. Since they didn’t go too crazy with this system, a lot of users that are used to traditional curser setups will find it appealing. When you’re in a busy area, adjusting the accept/reject notch can speed things up. It is set up to ignore unwanted items that you’ll encounter during a search. This is a feature useful for buyers that use their metal detectors on a beach where there are thousands of different potential matches. To back this up, the sensitivity control adjusts to eight different levels so that you can prioritize the search as you walk through different ground types. The quick on the fly handling of this metal detector is a big deal, leaving even the most careful buyer with more time to adjust to their surroundings. Using the detailed depth indicator, the curser will give accurate readings by following robust action protocols. With the Ace 250 you’ll have a high chance of finding something special, even if it is a needle in the haystack. The Ace 150 is one of the older models in the Ace series, but still a formidable metal detector. It’s available at an average price since it is still a popular seller among the consumers. The difference between the 150 and the 250 goes beyond the general improvements of the latter, and the 150 is the better designed of the two. Using a sporty look, the three piece model pairs well with similar equipment in style, color and size. With an outdoor design on their minds, Garrett made the Ace 150 in that mold and succeeded. Controls are easy to thumb through even when on the move, with large buttons and a visual indicator of your current surroundings. Using the coin depth indicator is a breeze, and it carried over unchanged to other models in the same series- that shows how ahead of its time the coin depth indicator was. A standard headphone jack is included, which is nothing special for a metal detector but does the job. Users won’t have to worry about dangling wires around the most important parts due to intelligent placement of the headphone jack. The Ace 150 is still a solid choice and remains on multiple top ten lists as a great buy. Around this point in the Ace series is when they introduced the waterproof search coil, which was refined in the 250 model. 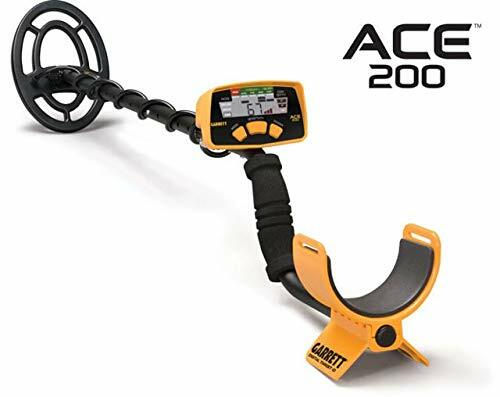 The Ace 200 is a medium range priced metal detector that has been in the crosshairs of a lot of entry level users. It has all of the design innovation of the 150 while still retaining multiple refinements from the Ace 250. In its current state, the Ace 200 is the best of both worlds without spending a ton of money. The waterproof coil is 6.5×9, big enough to cover a lot of the area without being too heavy. Unique for this version is the inclusion of Garrett Treasure Sound Headphones, which is a pretty good deal when you consider the quality. Out of the box it is ready to go with batteries and a two year warranty, so without even getting to the meat of the features it has already exceeded the listed value. Audio is sharp with clear pulse-width modulation audio while the Target ID has been improved for better 0-99 scale information. For a lighter, newer and better version of the Ace 150, the 200 is the best choice. The extra accessories are what makes this product a great buy, even with its high price tag. The Ace 300 is the best in the series at giving the consumer everything they need right out of the box. Garrett Clearsound Headphones is available as one of the extras, with this version using extra padding to block out noise. When you’re worried about the coil getting damaged, use the coil covers to protect it against rain or dust. And if things get really bad, use the generous 2 year warranty to ensure the condition of the product. So besides the extras, what makes the Ace 300 the best in the series? There are two versions available, the 300 and the improved 300i. They use higher frequencies than previous models, and in tests provide a steady 8 kHz for a substantial 1.5 kHz boost. Stem lock is easier to set up and the sensitivity for low and medium-conductivity objects has been refined. The last big improvement is the size, with a long 7×10 concentric PROformance searchcoil being the biggest improvement of the entire series. Buyers that want to get the top product from Garrett will have an easy choice with the Ace 300 model. The Pro-Pointer AT is an outlier from the rest of the models due to its price and size. It is the smallest metal detector on the list and also the lowest priced on. Customers that have never purchased a metal detector before consider the Pro-Pointer AT a good starting device. It’s waterproof up to ten feet, so in small lakes and ponds it works well, even when dropped. The reason they went with the bright orange color had more to do with visibility instead of design, so even when it’s dark the product is easy to find. Despite its size, they squeezed in three sensitivity levels for finding small targets. No matter what environment you use it in, the Pro-Pointer AT does fairly well. With its fast retune feature at your fingertips, a quick button press will make it more precise based on the terrain you’re in. When an area needs more coverage, the 360 degree side scan feature should be just enough to get you by. Extras that makes this a great beginner purchase include an led flashlight, belt holster and high charge 9 volt battery. It is the definition of a starter set for metal detectors without taking too much power out of the user’s hands. Great portability with an affordable price will endear this set to users that want to find objects in the dirt. Last on the list is the most expensive detector available from Garrett, but one that has made a reputation for being accurate. The AT Gold is an expensive model that was made to find expensive objects in the ground. Weighing at 14.1 ounces, the extra heft comes from its premium materials, right down to the coil. It uses an 18 kHz frequency to find all metals, regardless of the terrain you decide scan. The search coil is a PROformance Double-D submersible model that is about 5×8 in size. It’s more than you’ll ever need, and has sensitivity levels that are at the top of the industry. Inside the package is the best version of the Garrett MasterSound headphones, with stereo richness that makes them usable for more than object hunting. You can use it with your phone or mp3 player as an alternative to earbuds-the sound is that good. Consumers that want waterproof headphones can pay a premium to buy them separately, and it is highly recommended to consider this additional add-on for beach treasure hunting. All of this makes for a top tier metal detector, but the crowning achievement of this model is that it’s enhanced to detect expensive items like gold nuggets, relics, coins and more. Out of all the other models, this is the one with the best nose for finding priceless objects. Customers that want to make money will have no trouble spending it up front for one of Garrett’s best products. Garrett Metal Detectors is the biggest brand in the industry, with a track record for being the worldwide leader for years. They service both the professional and consumer markets by providing all necessary products and accessories for the precise detection of metals. They began way back in 1964, and over time found their stride for making the best sport and security metal detectors on the market. The late Charles Lewis Garrett was the owner of the company until his passing in 2015. Ever since the original Dual Searchcoil Hunter in 1964, the company has improved on its design and functions so that precision was a top priority. That is the main reason why older models from Garrett continue to be purchased. Since they don’t suffer from a decline in quality, the older metal detectors from Garrett are just as good as the newer models. Garrett covers all price ranges, and the majority of their products on the consumer level are midrange or lower. The most expensive models from their line are for serious users or professionals, so there are plenty of choices to make depending on your level. When you factor in all of the extra stuff the company packages in with their products, new buyers end up benefiting the most. Nothing is more annoying than having to make an extra trip to the store (or online) to get materials for your metal detector. Garrett has managed to include these extras without jacking up the price to an insane level. If you look at the value of their models, they are consistently ranked highest for value per dollar, even for professional users. Two big features stand out, and that is the submersible search coil and the easy to read interface. The first feature has gained notoriety among users that search in ponds, lakes, rivers and the shores of oceans. A submersible search coil is important, and adds more terrain options on an already robust product. Garrett’s interface is world famous for usability, but not at the cost of getting rid of key functions. Everything on the interface is easy to understand no matter what you level, and beginners will love the big buttons for customization. This is the closest a company will get to bridging the gap between beginners and professionals using the same product. Coil size varies, but is usually on the large side. The weight isn’t transferred to that one spot, so it isn’t a pain to carry for long hours. Coil technology for the company has changed a lot since 1964, although the size has remained the same for the last couple of years. They found a good size to coverage ratio that doesn’t burden the user. For their professional metal detectors, they are more likely to use a larger size that is suitable for the industries they’ll be used in. Most of their products come with batteries, usually four AA in a set. These aren’t cheap generic sets, and in some cases are rebranded energizers at max capacity. Garrett products use little power thanks to good built in power saving features that are activated even when the metal detector is in use. You can go hours on a single charge without worrying about a low power warning. Their metal detectors play nice with rechargeable batteries, so expect similar mileage if you use a good brand. 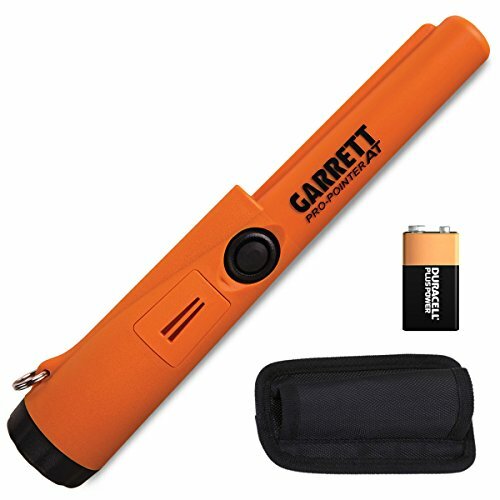 For Garrett’s portable products, 9 volts are the most common battery type used. A sporty design has been used on the Ace series for a while now, but it was done best with the Ace 150. Newer iterations go for a sleeker look that mimics their professional line, so it loses a lot of the great outdoor look of the original. This isn’t a slight on the new design, but it highlights a section of their customers that prefer the older look better. There are no downsides to the design, and customers can just purchase older versions if they don’t like the cleaner look of modern variants. It is a win-win situation that keeps older Garrett products in circulation with the new ones. This is one of the biggest draws to Garrett since it helps draw in the entry level crowd. Extras vary based on the model you get, with starter sets providing the most value per dollar. Coil Covers – Simple yet necessary, these covers protect the most important part of a metal detector. Whether storing or traveling, make sure to have these handy so that your product doesn’t get damaged. Headphones – Even the lowest tier of their branded headphones are good enough to be used on a daily basis, across multiple devices. At the highest tier, their headphones rival Philips and Sony in sound quality. Instructions – This is an odd extra to include, but it makes sense if you look at other company’s manuals. Garrett gets right to the point and simplifies their most advanced settings. And when you don’t have an instruction manual handy, they can be found online in pdf format on the website. You have to try really hard to break a Garrett metal detector. They are used in jungles, overseas in rough environments and even in some military operations. These are some of the toughest uses available for a metal detector of this quality, and that same durability trickles down to the consumer level. Garrett products hold up well even after years of use, with technological benefits that keep the model timeless for daily object hunting. 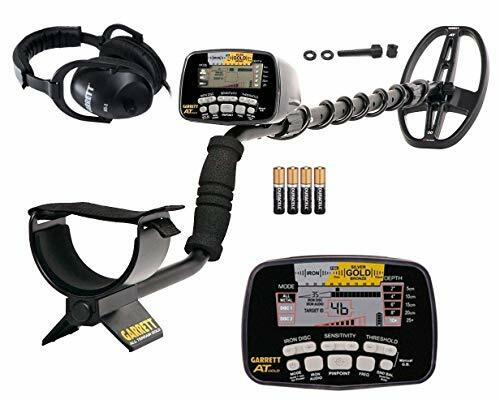 If you splurge and go for the top end from Garrett, then chances are it’ll be years before you need to buy another metal detector. On one hand you can count the number of brands that are equally as effective as Garrett. There are not a lot of brands that have matched their technology, and it shows. Products like the AT Gold provide a boost for specific types of metals, and may be a preferred model for consumers that want more power. The AT Gold is one of many products that are marketed for customers that want object specific metal detectors. On this level is when Garrett has found some stiff competition since smaller brands can focus their coil technologies on relevant materials. Garrett is the best in the business on multiple levels, including the heavy hitting professionals. They price all of their metal detectors and associated accessories at a value rate. Buyers trust the brand, and more importantly they trust the quality of products that are sold.